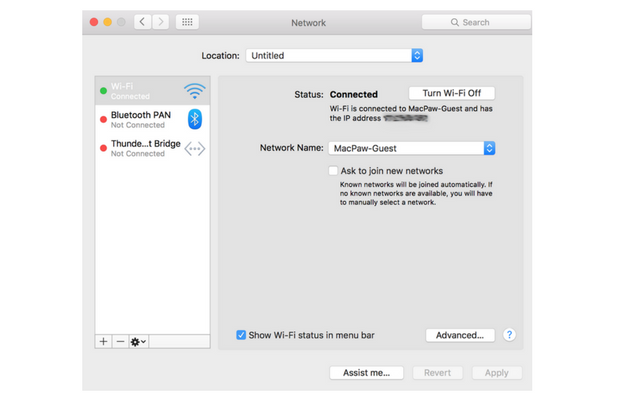 Wi-Fi won't turn on — How to fix Wi-Fi connection on Mac? Wi-Fi connection — it is central to intelligent life on Earth. But there could be numerous reasons your Mac won’t connect to Wi-Fi: a new software update, broken Wi-Fi preferences, or several networks conflicting with each other. Below we’ll explain what to do when you can’t connect to Wi-Fi or your connection is constantly dropping off. Slow or unstable Wi-Fi connection on Mac? In case your Mac is generally slow, which obviously affects the Internet too, you may start with fixing the performance issues first. The quickest is to delete junk and old caches from your drive and browsers. 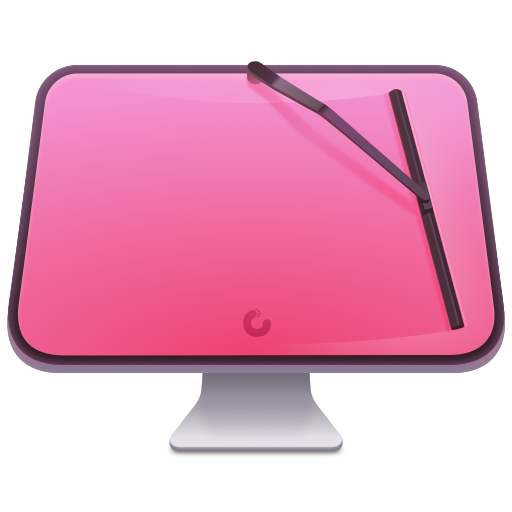 Here you download CleanMyMac app for free. Give your Mac a full scan to remove the unwanted files, bloatware, and junky web browser extensions. In a few minutes, your Mac should be relatively fresh. 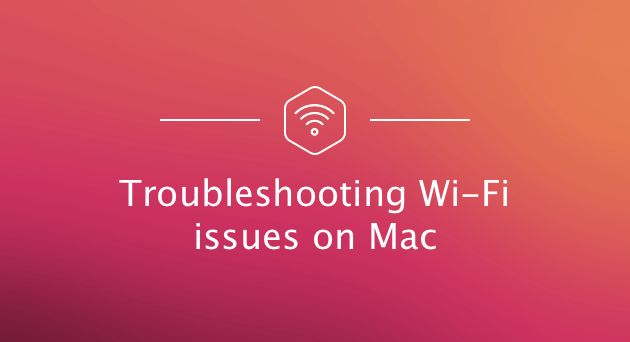 See if your Mac still has Wi-Fi connection problems. If it does, read on. 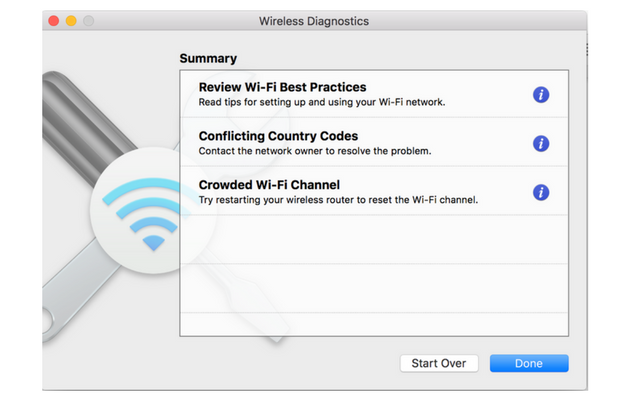 To troubleshoot Wi-Fi problems on Mac it’s good to start with native tools that came with your OS. This window lets you inspect your Wi-Fi preferences. If your Mac has internet connection problems, click Assist me as shown in the screenshot below. This will launch a built-in Diagnostics tool. Did it solve the problem? Good news there’s another instrument provided by Apple, a Wireless Diagnostics app. This step will reconfigure your existing Wi-Fi settings and launch your network experience from scratch. But before you begin, we seriously recommend to back your Mac up using Time Machine. Or move them to a new folder on your Desktop. Now you will have to revisit Wi-Fi preferences (Click Open Network Preferences under Wi-Fi icon). Turn Wi-Fi on and select your Wi-Fi network again. The path above proved to be a good remedy in cases when Wi-Fi connection drops off after upgrading to macOS Mojave. If the issue persists, you may consider to clean install macOS Mojave. Check your Wi-Fi now (cross your fingers). Did it do the trick? If not, let’s move on to the next step. 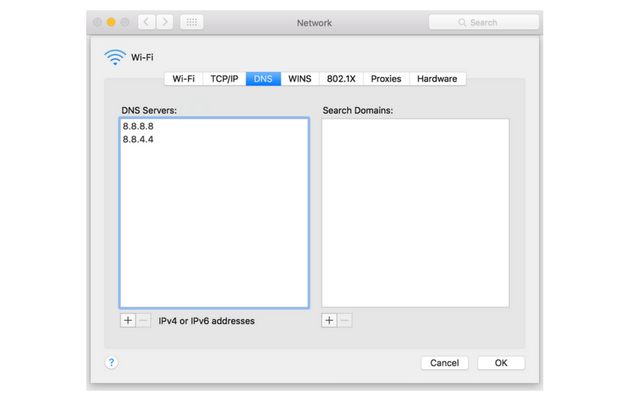 DNS service helps your Mac find IP-addresses, much like in a phone book. It has a cache folder of its own. Removing these cache files is helpful when your Wi-Fi slows down at random or you can’t access certain websites. To save you from meddling with critical system folders, here’s a quick workaround. 1. 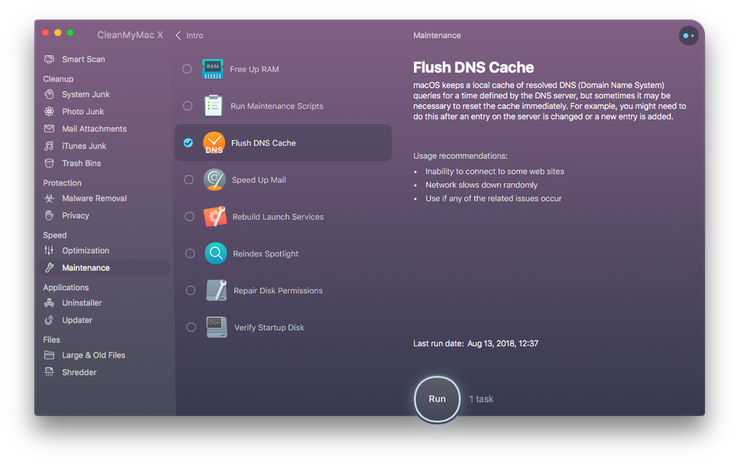 Download DNS Flusher (it’s built into CleanMyMac X — get it here). That’s all — and this solution is 100% free and takes no more than a minute. By the way, CleanMyMac X is pretty much an indispensable tool if you want to keep your Mac clean and junk-free. It removes up to 74 GB of junk files on an average Mac, so give it a spin, just in case. Plug off your router and leave it for a minute or two. This way you will know if your Mac won’t connect to Wi-Fi because of router issues. Plug your router back in and try to connect other Wi-Fi devices in the room. Additionally, try placing your router in a different place. Your Wi-Fi signal could be lost due to neighboring network or it is catching a “dead-zone” in your house. If your room allows it, move it right in the center of the room. Fewer barriers, the better signal. Bluetooth devices often interfere with Wi-Fi, especially if the Wi-Fi signal is weak. It’s because both rely on radio frequencies to work. Try disconnecting the Bluetooth and see if the problem continues. 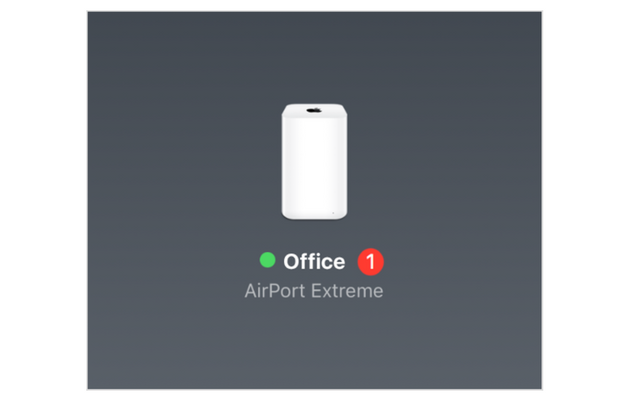 If you are using Apple Airport router you’ll need Airport Utility to perform the update. Obviously, this step requires an internet connection. You can connect via cable if your Wi-Fi doesn’t work on Mac. You’ll see your Airport base station. If you see a red notification badge next to the base name, click it for more details. If the update is available, the app will show you the Update button. MTU stands for Maximum Transmission Unit and describes the packet size that is exchanged via the network (measured in bytes). The solution described below implies lowering MTU size which should make your WI-Fi connection less laggy. 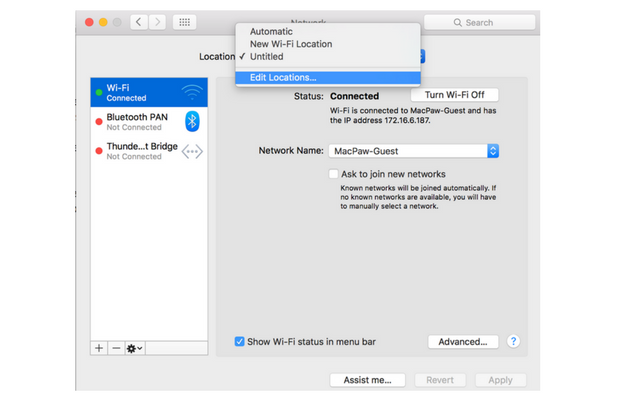 While customizing DNS location has also proved effective to solve even the most bitter Wi-Fi problems on Mac. But don’t let these geeky terms scare you off. The path takes just about a minute and you’ll be proud to have fixed your Wi-Fi yourself, the Apple Genius way. Now create a new location by clicking [+] plus button. Name it anything you like. Click Done. 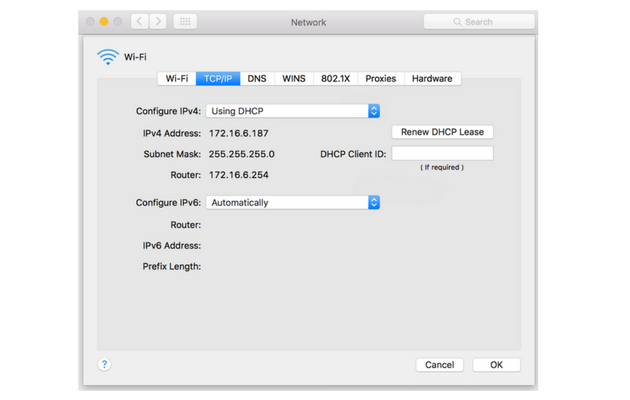 Go to TCP/IP tab and click Renew DHCP lease . Go to DNS tab and by clicking [+] buttons enter 8.8.8.8 and 8.8.4.4 as IP-addresses, each in a separate line. These two are Google’s alternative DNS servers that the company recommends using — they are safe. But before you do this, make sure to copy your current DNS address on a piece of paper. Go to a Hardware tab from the previous step. Well done. Your Wi-Fi should be working better now. Still no or poor Wi-FI Connection on Mac? Maybe all this time you’ve been digging in the wrong place as the problem is in your Mac itself. It might need some basic tidying up and maintenance to run faster. Try giving it a full clean with a tool like CleanMyMac X (it's my favorite among similar Mac tune-up apps — here's the official free download from the developer site). Hopefully, once your Mac is clean and up to speed again, your Wi-Fi should get back to norm. May the Wi-Fi be with you. Thanks for reading.